At this year’s Annual Meeting & Expo, we’ll dissect the reverse mortgage process from preapplication to repayment and explore opportunities to improve the customer experience every step of the way. Explore the Windy City and enjoy the attractions, events and gastronomic institutions to help make your stay as enjoyable as possible. Join your colleagues in Chicago and work with us on creating A Better Borrower Experience. 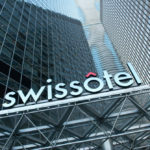 Note: The Swissotel is completely sold out of rooms during the dates of the Annual Meeting & Expo. However, there are other hotels close by that may have rooms. Try Hotels.com for more information. 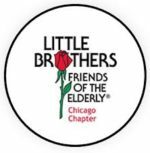 NRMLA has organized a volunteer project on Sunday, November 13, in partnership with Little Brothers – Friends of the Elderly, Chicago Chapter, a non-profit dedicated to relieving isolation and loneliness among the elderly. With the generous support of our sponsors, holiday and birthday gifts were purchased for nearly 1,000 needy seniors. Volunteers can choose from two shifts (8:30 am to 11 am or 11 am to 1 pm) to help package gifts and creatively decorate the gift bags. Join us as we build stronger relationships with each other, the local senior community and beyond! Register or get more details on the event. If you can’t attend, please make a donation to Little Brothers-Friends of the Elderly. When the option appears, please select in honor of NRMLA. View the final agenda for the 2016 Annual Meeting & Expo and speaker bios, develop your own schedule by bookmarking important sessions, and communicate with other attendees—all from the convenience of your phone. Learn more about the Whova app. If you are registered for the Annual Meeting & Expo, you will have the opportunity to earn all 8 continuing education credits needed to renew your annual NMLS license. Six of the 8 credits will be offered during the main conference at no additional charge, while the 2 Hour Ethics Course offered immediately following the conference requires a separate $30 registration fee. If you are going to take these courses for NMLS credits, we ask that you pre-register for them. These same NMLS course credits can also be applied toward the Certified Reverse Mortgage Professional (CRMP) designation. NRMLA’s Annual Meeting & Expo is the industry’s premier event for Reverse Mortgage professionals and service firms across the nation. Be part of it! There are various levels of sponsorship, each package representing excellent opportunities for tailoring your specific marketing needs while positioning your company as a leader in the industry. Download Sponsor Application. View the Exhibit Hall Floor Plan. All conference cancellation requests must be received by faxing to 202-265-4435 or emailing to Darryl Hicks at dhicks@dworbell.com. A $50 cancellation fee will be applied to all cancellation requests received no later than September 25, 2016. A $150 cancellation fee will be applied to all cancellation requests received from September 26 through October 21, 2016. No refunds will be issued for cancellation requests received on or after October 22, 2016. If you have never registered for one of our events, please download these Registration Instructions. Please note: If you reserve a hotel room first, you must register for the conference within 2 weeks, or risk losing the hotel room. We have a limited number of rooms in our room block and need to accommodate all paying customers. As you plan your travel to Chicago for the 2016 Annual Meeting & Expo, November 14-16, we compiled a short list of attractions, events and gastronomic institutions to help make your stay as enjoyable as possible. NRMLA has organized a volunteer project on Sunday, November 13, in partnership with Little Brothers – Friends of the Elderly, Chicago Chapter, a non-profit dedicated to relieving isolation and loneliness among the elderly. With the generous support of our sponsors, holiday and birthday gifts were purchased for nearly 1,000 needy seniors. Volunteers can choose from two shifts (see below) to help package gifts and creatively decorate the gift bags. Join us as we build stronger relationships with each other, the local senior community and beyond! Meet at 8:30 am in the Swissotel lobby for group departure. Returning to the Swissotel at 11:30 am. Meet in the Swissotel lobby at 10:30 am. Returning to the Swissotel at 1:30 pm. Registration desk closes at 5:00 pm. Veteran trainer Craig Barnes Illustrates how reverse mortgage interest rates are calculated, explains vital application doc calculations, describes reverse mortgage growth rates, and explains how to read a monthly statement. Aging and longevity may sound like the same idea, but they are two separate issues and each comes with its own problems. We are all familiar with the impact of aging on individuals, but what about the impact of longevity? Longevity affects retirement funding, housing, healthcare, job creation, traffic, entertainment and every other aspect of our society. We’ll discuss these issues, so that you can better educate and prepare your clients. To cut through the confusion of the reverse mortgage loan process, NRMLA’s Board of Directors formed a working group to evaluate the customer experience and identify opportunities to clarify and simplify some of the more overwhelming and arduous parts of the transaction. Members of the Customer Experience Initiative will present their findings, insights, and solutions. No one knows what their future health holds, but everyone wants to have their voice heard throughout their lifespan. Northwestern University operates a web site – PlanYourLifeSpan.org – that helps people plan for health events and how to pay for these costs. 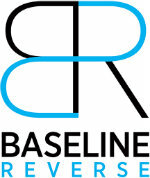 You will learn more about the web site and how it can help your clients. HECM borrowers offer their insights on reverse mortgages, the lending industry, and retirement challenges. When exploring growth strategies, owners and management must recognize the impact that their decisions will have from a regulatory compliance standpoint. NRMLA’s Legal Counsel Jim Brodsky discusses some of these important issues. HECM counselors share their experiences educating clients about reverse mortgages and offer insights on how the reverse mortgage industry can improve the upfront education process and offer ongoing support post-closing. Closing professionals discuss common questions that consumers ask at the closing, top issues and concerns, and what lenders can be doing better to prepare their clients for a smoother closing. Presenters cover more than just the fundamentals and underwriting guidelines that other courses have provided. They look at market data and usage statistics and focus on building a working knowledge of the HECM for Purchase decision. Servicing subject matter experts discuss the crucial transition from loan origination to servicing and how it impacts borrowers, and share ideas and solutions for a smoother hand-off. Join NRMLA PR Committee members Tom Evans and Jean Noble, and NRMLA’s Marty Bell, for an open discussion about the language of reverse mortgages. Audience participation will be encouraged as all three ask: Are certain industry terms too complicated? Would simplified wording grow the market? What HECM terms would you change if you could? Marty Bell, NRMLA, Washington, D.C.
FHA’s key HECM personnel will summarize important program changes made in 2016, provide program performance statistics, and discuss future priorities. NRMLA’s legal counsel leads a discussion about federal and state legislative and regulatory changes and what those changes mean to reverse mortgage loan officers and business owners. Now that a majority of seniors 65+ go online to search for, and collect information, about new products and services, it’s time to embrace online marketing strategies. Importantly, marketing language that reads well on paper pamphlets doesn’t actually translate to the web. Growing the reverse mortgage footprint within a large bank or mortgage company is something that many managers grapple with. Our panel will discuss how they have been successful at leveraging their “forward” mortgage sales force to build their HECM business. NRMLA members must ratify the Nominating Committee Report and formally elect a new Board of Directors for the 2017 term. NRMLA’s Executive Committee summarizes key takeaways from the past year and where they see the business headed. Three leading retirement researchers present their findings on seniors’ access to home equity, an analysis of how older Americans have spent and managed their assets over time, and the impact that various home equity extraction methods, including HECMs, have on the credit profiles of senior borrowers. The course instills a sense of ethical behavior in the students, so that they can better serve their aging clients. The most devoted and ethical reverse mortgage professionals offer unlimited guidance, support and assistance throughout the reverse mortgage process, from the very first consultation until the loan pays off. Pre-registration required. Anyone is welcome to attend, but attendance is mandatory for all candidates pursuing the Certified Reverse Mortgage Professional designation, and for existing designees who need to retake the course every three years. Entry to the CRMP Ethics Workshop on Wednesday, November 16, from 1:30 to 3:30. All candidates pursuing the Certified Reverse Mortgage Professional designation, as well as existing designees who must recertify every three years, need to attend this workshop.